The right brand story provides a unifying theme to what your company does, and the reason why it matters. Instead of simply asking customers to buy a product or service, we are asking them to join us on a valuable mission—a mission that is personally important to them. A well-constructed narrative has the power to rewrite the existing experiences of customers, regarding your industry, and elevate your brand in their minds. Discover the true power of your story by revealing the good your brand offers the world and crafting a narrative to support these values. Get the 11 Essentials of a Profitable Brand Story today. We believe you have a story worth telling, and we will help. For years, Community Authors has produced ground-breaking writing with New York Times & USA Today best-selling authors, and we would love to work with you. Through writing coaching, editing, and story development we can help you advance to your next level. In this video series, Community Authors’ Christopher Hawke walks you through learning the craft of writing. Designed especially for the busy writer, this month-long course requires no more than 10 minutes a day and is likely to be the only writing series you’ll ever need. Learn at your own pace. Watch a video a day or view as many lessons as you’d like at one time. 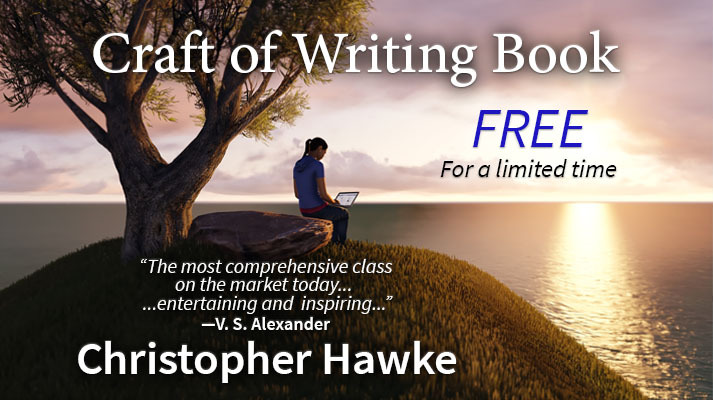 Sign up to receive the Craft of Writing book for FREE and learn game-changing story concepts.